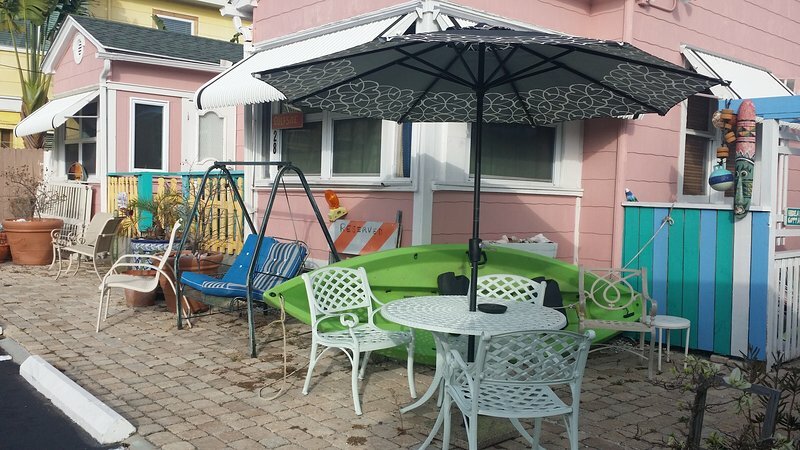 Last few blocks left in Clearwater Beach with real cottages and vacation rental homes. No high rises or hotels in the Clearwater Cottages district which is beach side of Mandalay Ave. 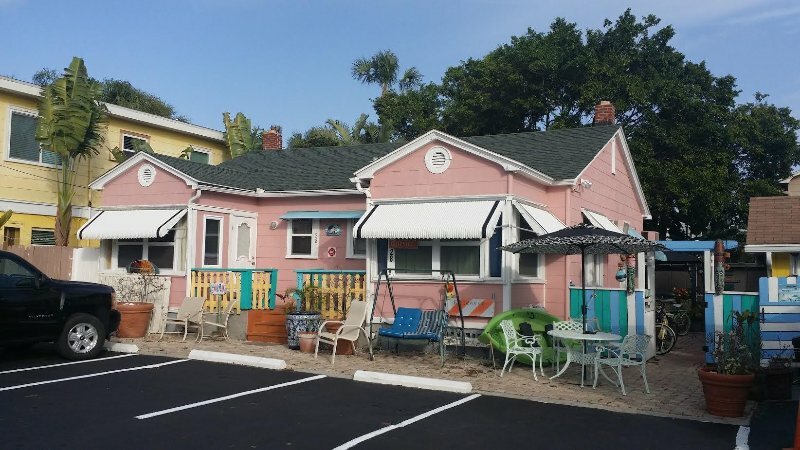 The best Tiki Bars and Pubs are right in this area including Palm Pavillion, first bath house in Florida, the famous Shipwreck Bar, Angelo's Pizza and Frenchy's Rockaway. You call walk to all of them as they are one, two and three blocks walk. You can walk to everything and Pier 60 just 5 blocks. You do not need a car here.